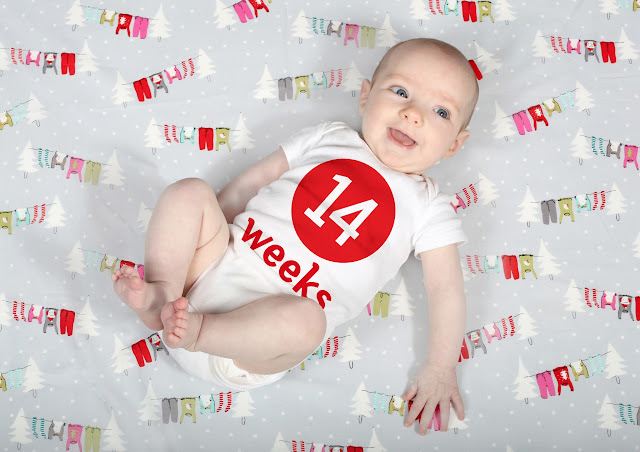 we took the photo every week in a white onesie on a different background, fabric or carpet/towel when we were traveling! 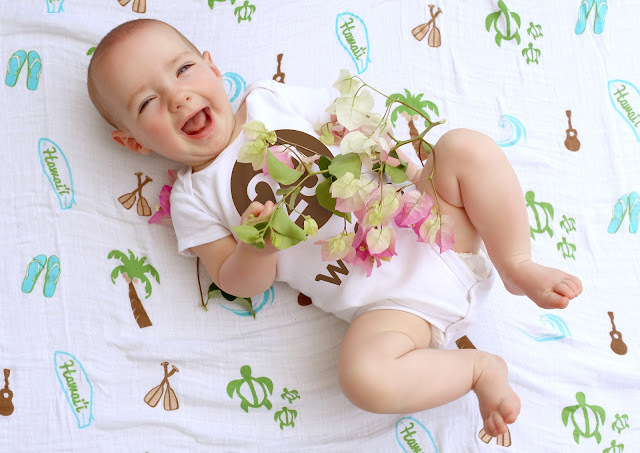 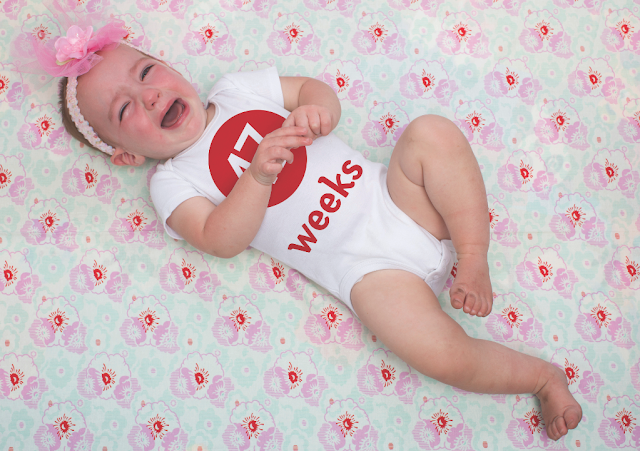 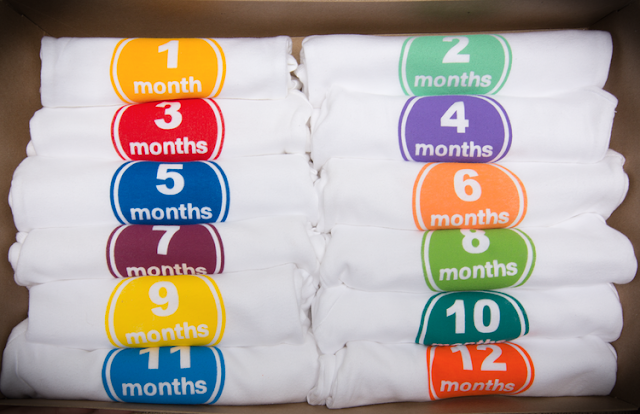 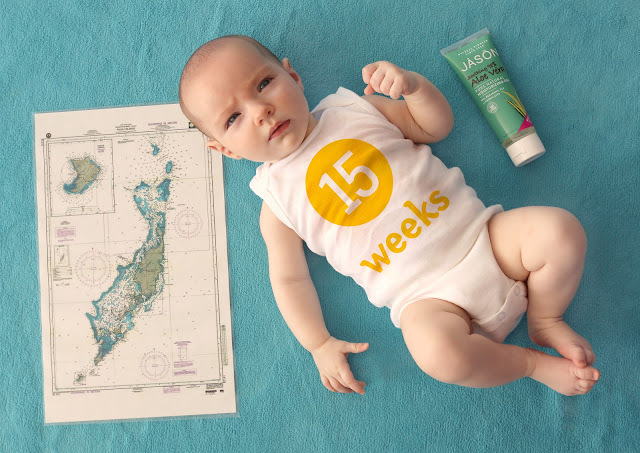 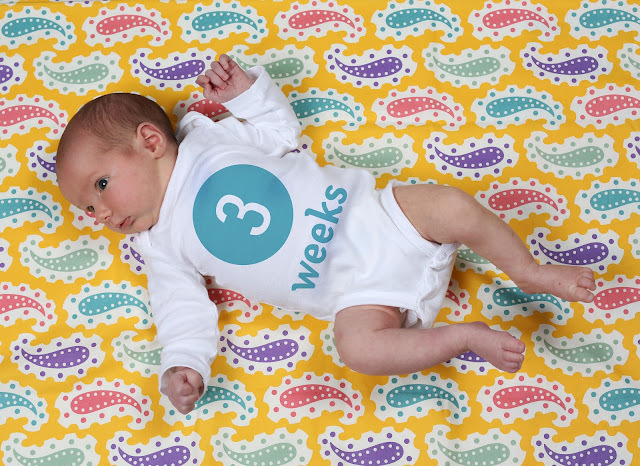 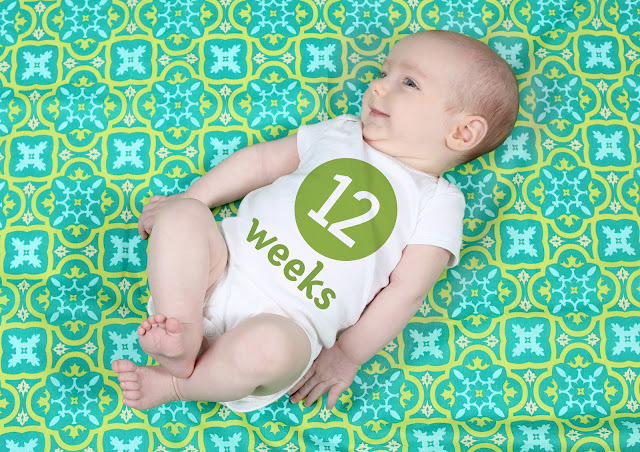 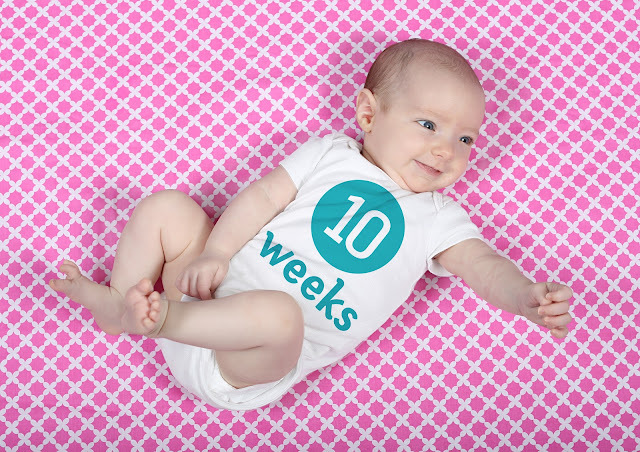 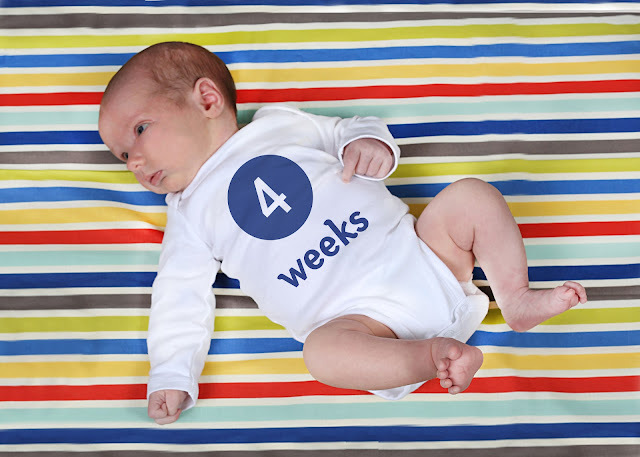 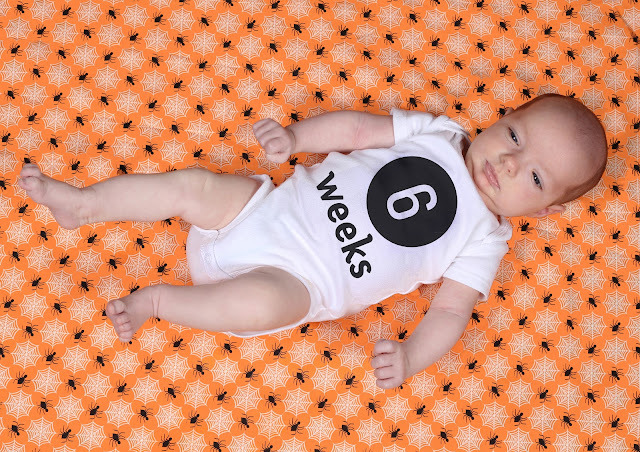 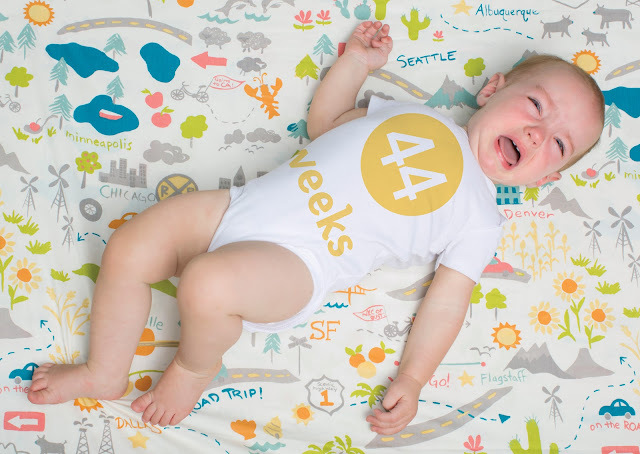 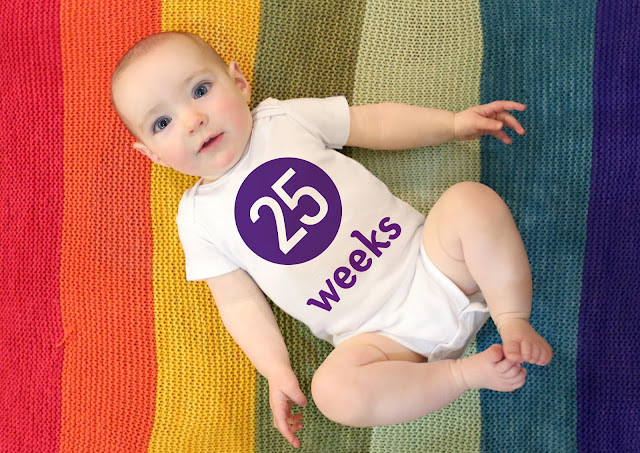 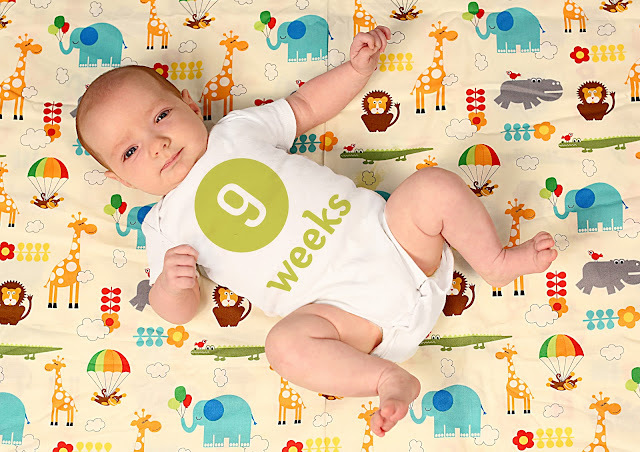 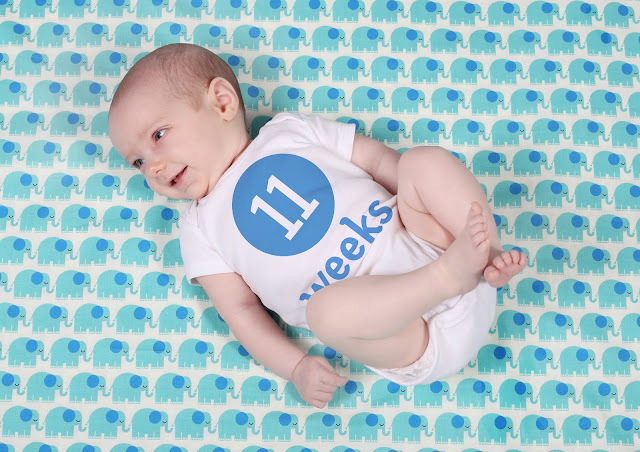 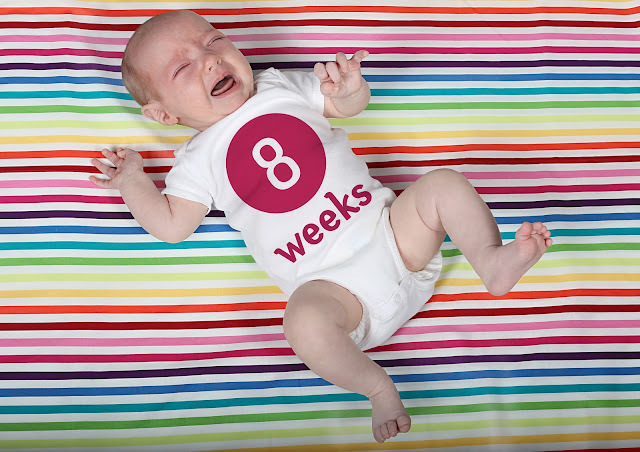 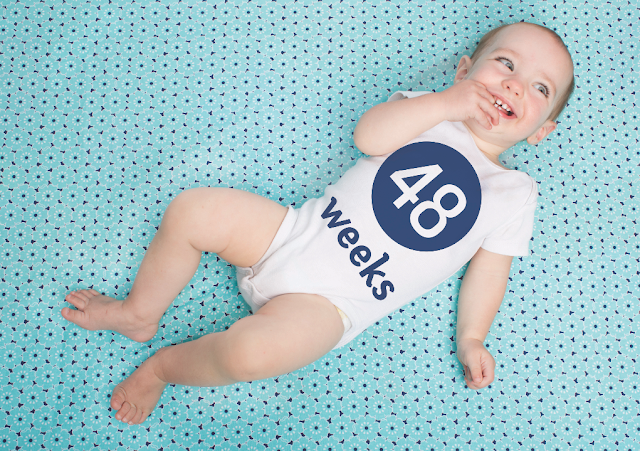 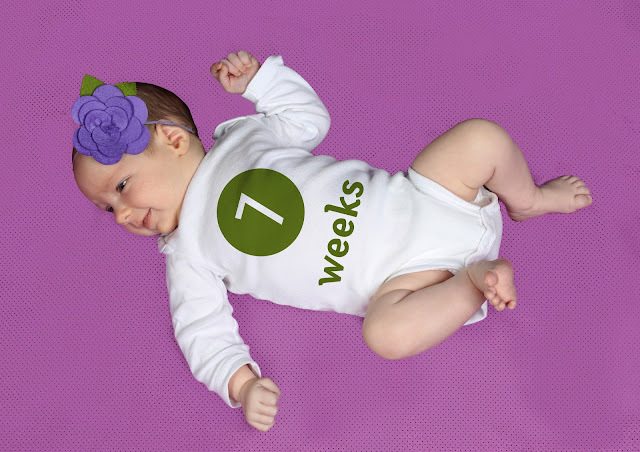 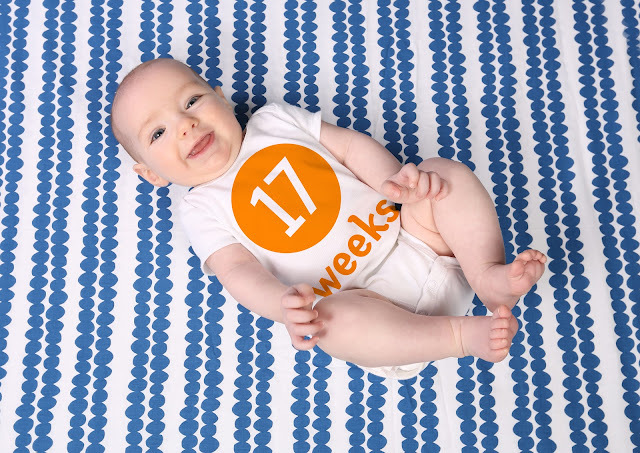 and then used photoshop to put the number of weeks on (no we didn't make 52 onesies :) But if you don't want to photoshop - you can buy the Tess inspired 12 month onesie set screen printed at The Makery! 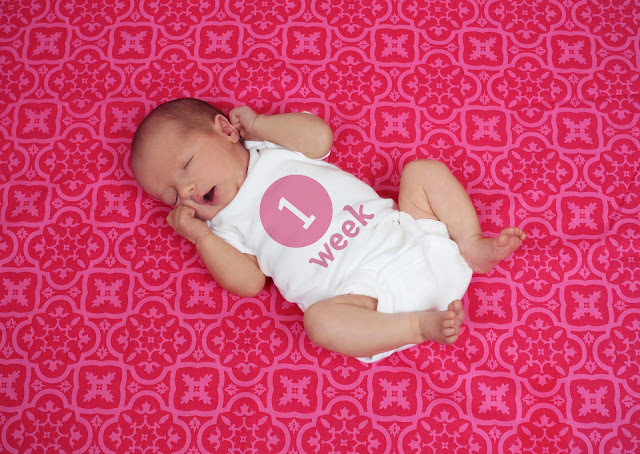 Makery Made gender-neutral set.. also come in all pinks/purples/oranges and all blue/greens! 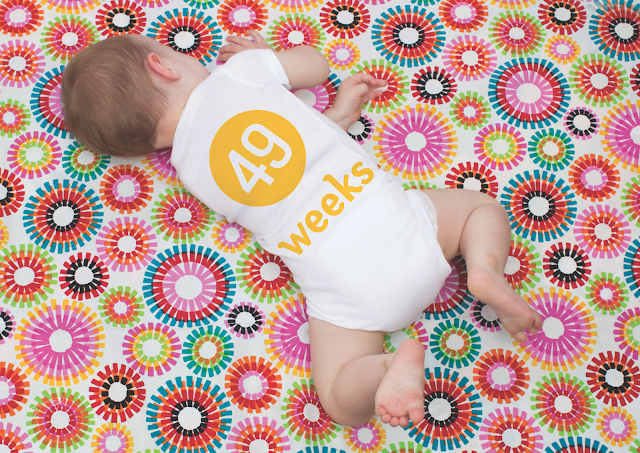 43 weeks - Oregon Family Reunion! 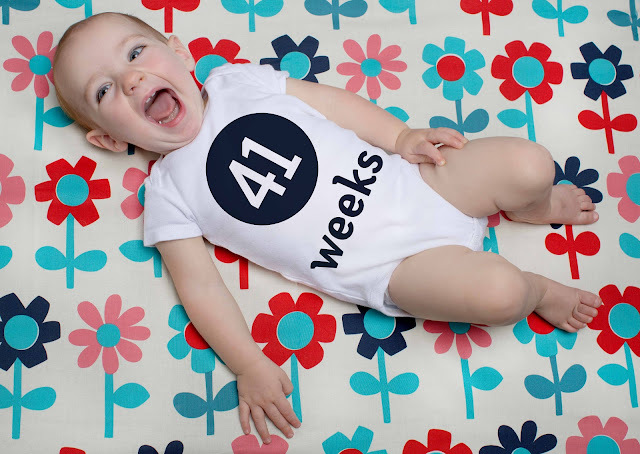 41 weeks - Happy 4th of July! 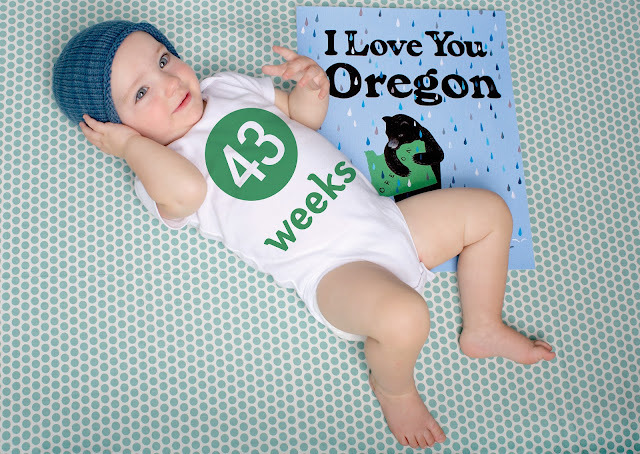 39 weeks - rattler in red bluff! 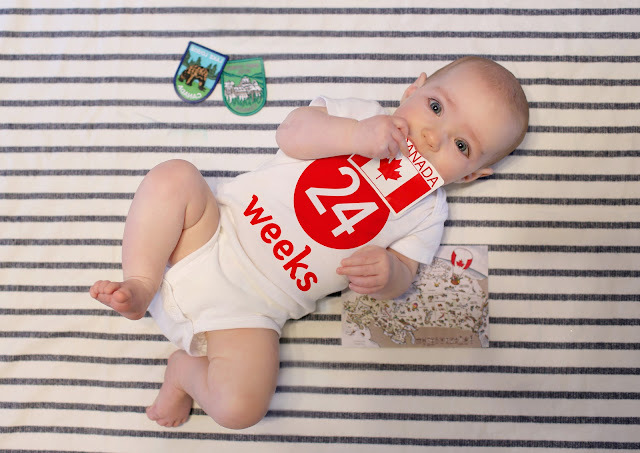 34 weeks - London and Italy! 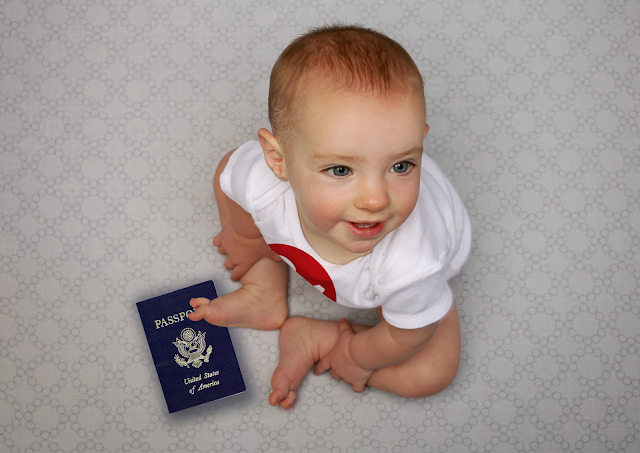 33 weeks - Paris France! 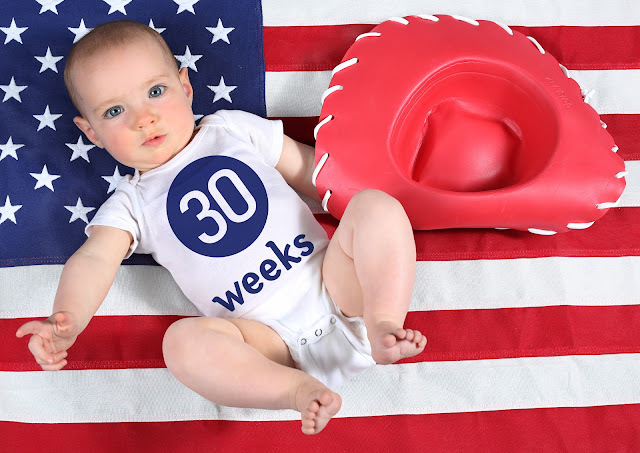 week 30 - Red Bluff Rodeo! week 27 - Tessa sits! 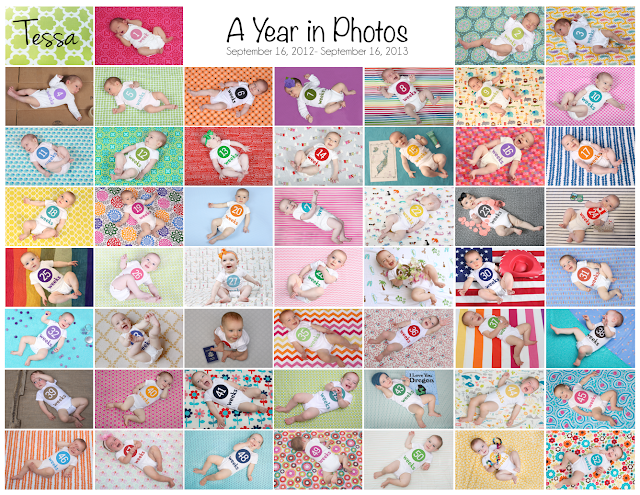 week 23 this week was the big roll over! 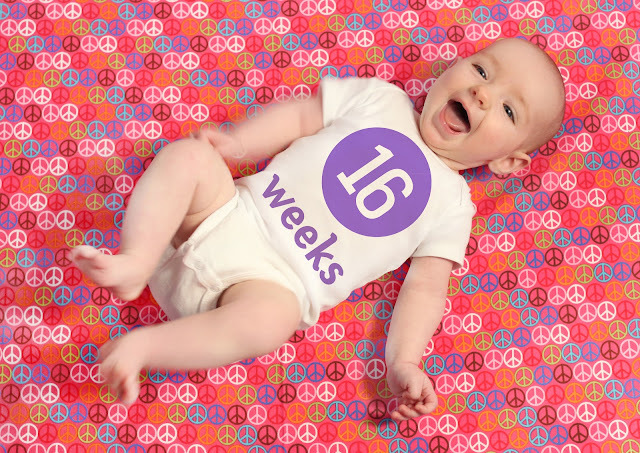 week 16 - Happy New Year!